At PKZ Media, we create your new website with SEO Optimization in mind so you can have visitors finding you on organic searches on Google, Bing and Yahoo mostly. However, if you need constant leads generated online, you must invest on a Pay-Per-Click campaign to improve your visibility. PKZ Media can manage your Pay-Per-Click campaign, so you can have the best results possible, generating constant leads from online searches done by people that are looking for what you are selling. Every search engine display both paid advertisements and free results after every search. 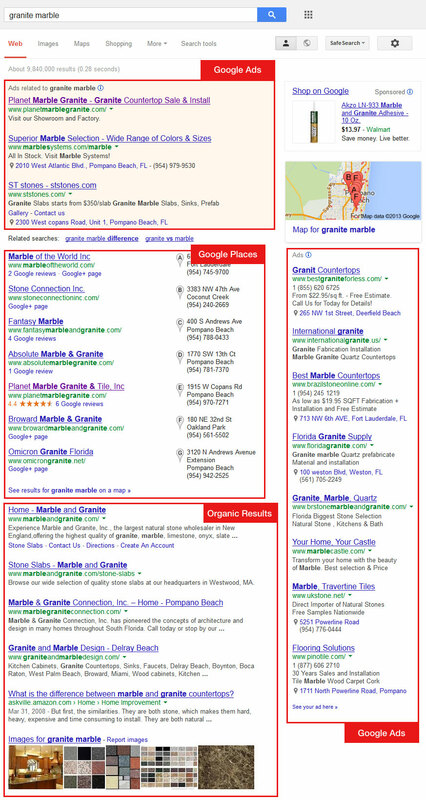 These free results are called “Organic” results. The Search Engine job is to display relevant results, both on paid ads and on organic results, so, in order to “qualify” your site to be in the Organic part of a Search Engine, you must match certain criteria, and most of the times, new websites lack a number of important characteristics that will prevent them from being on the top of the organic search results, in other words, to be on the search engine’s first page. Ads will always be displayed on the top and bottom of the search page. Organic Results will be in the middle, usually right after map results. Long gone were the times that a legit organic result would be on the top of the page, specially when searching for products or services. Very few search keywords will not yield a few Ads on the top and on the sides. The Pay-Per-Click campaign will put your product, service or practice on the top of the search, right there on the Advertisement area. If you are new online, you domain was registered recently, or the content of your site is not enough to put you on the first page by the organic results, the only thing you can do to become more visible to thousands of prospective customers, is pay for an Ad. At PKZ Media we will create the best possible Campaign for you, combining your ad with prospective keywords, that must also be present on your website. This is needed, not only to bring more customers to you, but also to reduce the cost of your click, and allow your site to be exposed for longer on the search results, while keeping your advertisement budget in control. PKZ Media will also put you on Google Places, provided your company or business has a physical address. This will help you show every time someone in your area search for your type of service or business. Google Places is free, and can bring you a good number of “free clicks”. We will also combine your AdWords campaign with Google Analytics to better measure how your campaign is performing. This will give us a perfect picture on what people that go into your website via the Pay-Per-Click campaign are doing, what is their behavior once in there. This will help us plan better strategies for your online campaign, to get the better results out of it. Need a quick start? Your campaign can be live in less than 24 hours, depending on what your needs are. Get in touch with us today and we will discuss the best plan for you.